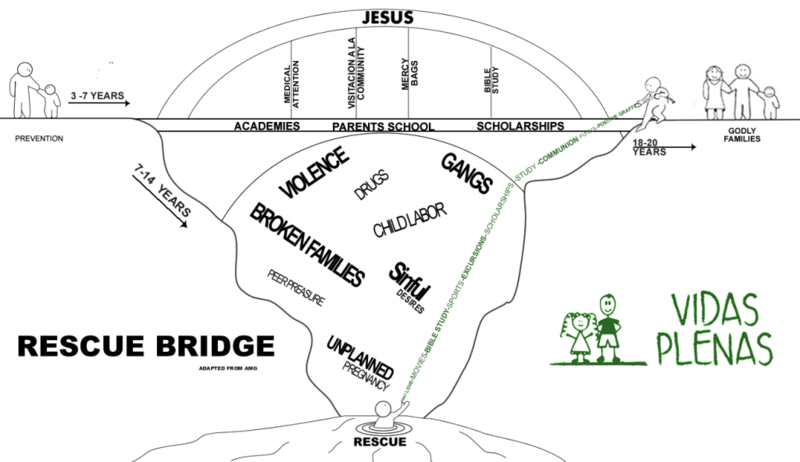 We are committed to the mission of our Guatemalan partner, Vidas Plenas, as they work in gang prevention, rescue outreach, and community care in La Limonada through the Rescue Bridge Model [see below]. Our shared desire is for those most in need to experience holistic transformation and to live full lives through a relationship with Jesus. Gang prevention through education and intervention. The Academies serve the children and their families while the Scholars program enables children to continue their education past 6th grade. Outreach to those already drawn into the darkness. The Rescue program reaches youth-at-risk who have already been tempted by gang life. 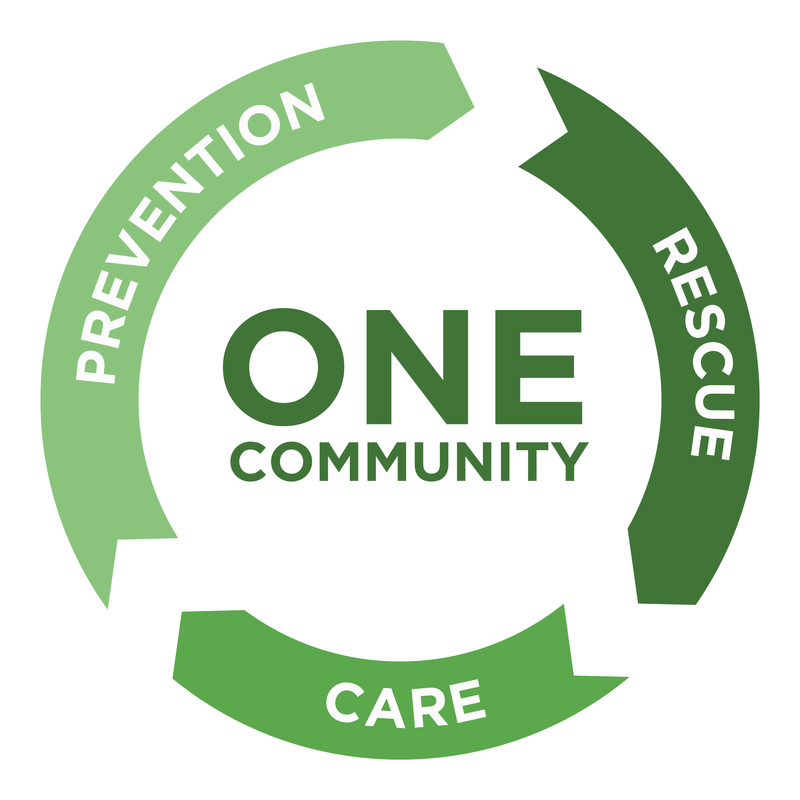 Comprehensive care through Home Visits and the Community Relief program, providing relief for the urgent and unexpected needs of the most vulnerable in La Limonada. The reality of poverty and profound marginalization hits the children around age 7. They start making decisions that shape their future. And if they are still alive at 18, their tattoos, police records, and damaged relationships nearly seal their fate. Targeting the children from 3 to 7 years old and walking with them through their most vulnerable years, the Vidas Plenas team offers a bridge over the darkness that awaits them. The team also works with youth-at-risk, seeking to also rescue those who have fallen deep into the darkness. The ultimate goal that we share with Vidas Plenas is to see the children equipped and transformed, ready to lead godly families, and acting as the future leaders of their community, while leading full lives in Jesus.